Community to casino: Stop harassing your workers! CHICAGO – Clergy and community leaders from Chicago and the northwest suburbs delivered a petition today signed by 33 allies supporting employees at the Rivers Casino Des Plaines. The organizations involved with the petition are calling on the casino to immediately halt intimidation tactics that violate federal labor law. Workers at the casino are organizing in response to unsafe working conditions, chronic understaffing, and lack of job security. The dispute entangles Chicago billionaire Neil Bluhm, who is the chairman of the company that owns Rivers Casino. Last month, Unite Here, Local 1 filed 31 unfair labor practice charges against the Rivers Casino with the National Labor Review Board (NLRB). The charges show how the company has violated federal law, responding to workers’ efforts to organize with an aggressive anti-union campaign that includes threats, surveillance, and other intimidation tactics. “Mr. Bluhm and other owners who have profited from the casino must direct management to immediately stop its illegal fear campaign against the workers who helped Rivers Casino become the most successful casino in the state of Illinois,” said Rabbi Brant Rosen of the Jewish Reconstructionist Congregation in Evanston and co-chairperson of the Jewish Voice for Peace Rabbinical Council. Non-union casino workers at two Bluhm casinos in Pennsylvania report similar management-led intimidation techniques. 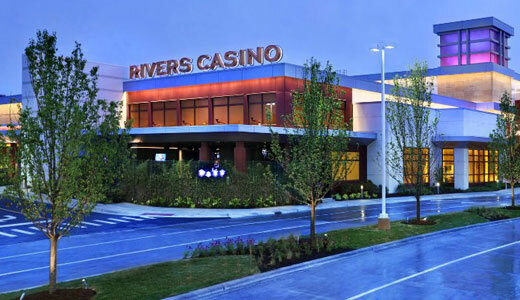 At the Rivers Casino in Pittsburgh, the casino settled 29 charges filed against it after the NLRB General Counsel found merit in the charges and authorized a complaint filed against the company based on them. The NLRB is also reviewing charges filed against the SugarHouse Casino in Philadelphia surrounding the firing of a union supporter. Furthermore, in 2011, the NLRB found that Rivers Casino Pittsburgh broke federal labor law. The NLRB ruled that the casino “restricted employees’ right to engage in union activity at the workplace and illegally surveilled union activity.